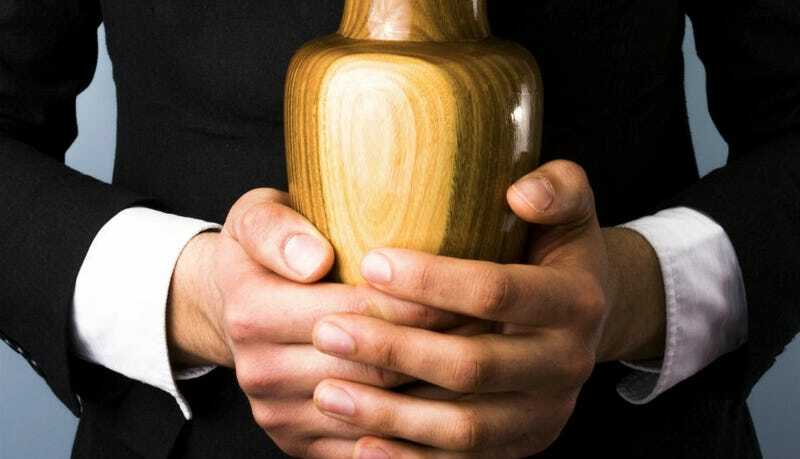 A widow in Wales was forced to take her dead husband's ashes to a T-Mobile store to try and get his contract cancelled. Anyone who has ever tried to get a phone company to correct one of their own errors knows it is a special kind of hell. It would be easier to teach a moose to dance a Viennese Waltz than it is to get the phone company to correct an error on your bill. But nothing any of us has been through can possibly compare to this woman's ordeal. David Raybould died on Aug. 29 of cancer. Before he died, he was paying about $40 for a monthly contract on his cell phone with T-Mobile. When his widow, Maria, 56, tried to get the company to cancel his contract (because dead people don't need data plans), she found it a lot more difficult than she could have imagined. So far, she's shown T-Mobile her late husband's death certificate, funeral bills and even brought an urn with his ashes to one of their stores—but the bills from the company still haven't stopped. But on November 8 Maria received another letter addressed to her late husband from T-Mobile customer finance department. It asked for an overdue amount of £129.48 to be paid and threatened to apply a cancellation charge due for the remaining months of the contract as well as stating the account will be passed to a debt collection agency. Maria said: "Now in my hand I have another letter saying there is £129 overdue. It says they have disconnected him and if he doesn't pay this money they are going to take him to a debt collection agency. "They just don't seem to understand. I have tried and tried to get it through to them. The contract needs to stop. How much clearer can I make it to them? What more can I do?" "It was easier for us to bury him than sort this out," said Raybould. A spokesperson for T-Mobile said the bills were all a mistake and promised to write to Raybould to apologize for everything. Unfortunately, that apology will probably come in the form of a 57-page invoice, along with a $7.99 Making Us Apologizing for Being Idiots surcharge.